This week, I wrote a story for microhorror . Beginning, middle and end. It came in at 800-odd words, so now I have to edit it down to 666 words to fit microhorror's criteria. It felt good to be writing a project again, especially a fictional story. It's been a long time. I've been faffing about with this and that, somehow never getting anything finished. This was a horror story, of course, and I think I did alright with the characterization. But I'm aware that the protagonist was acting like a classical mad scientist, and doing something which in real life she probably wouldn't; but, if she doesn't act in that way, there's no story, at least not a horror story. This is something which has been bugging me for a while. John Braine, in his writing a novel (aka How To Write A Novel) says, in effect, that if you're writing anything other than a mainstream contemporary story, i.e; if you're writing a thriller, romance, western or, in this case, horror, then your characters are always going to be puppets. 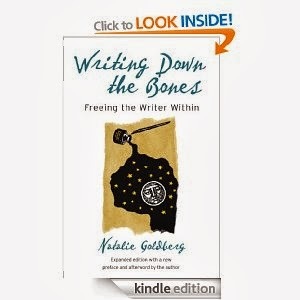 I've begun writing practice again (if you haven't already, read Natalie Goldberg's writing down the bones), writing without making anything up. My thoughts, feeling, memories. And it's made my horror fiction seem lame, feeble, escapist. There's 'real work' to be done, and all this time I've been slumming it. When I first started writing horror, about five years ago, I approached it as having a joke on the reader. I wanted my stories to be pleasurably scary, as opposed to traumatic. The writer and reader conspiring to keep straight faces. But lately, apart from wanting to keep up an output, to write anything at all, I've been feeling like a change.